More than 100 journalists, editors and industry professionals are set to meet to discuss diversity in journalism tomorrow. The National Council for the Training of Journalists is holding its inaugural seminar on the issue in London on Wednesday. 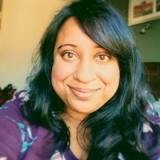 Among the speakers will be Suchandrika Chakrabarti, left, editorial trainer for Trinity Mirror, who will appear on a panel discussion about attracting and retaining journalists from all walks of life. Other topics to be discussed included disability and mental health in journalism, as well as unconscious bias in recruitment. The seminar will form part of an annual celebratory event for the NCTJ’s Journalism Diversity Fund, which has awarded 248 bursaries to fund the journalism training of diverse students since its launch in 2005. The celebratory lunch reception includes the launch of a video to promote the JDF, produced by Sky Sports News apprentice Daniel Boswell. Lead sponsor NLA media access will be presenting the NCTJ with a cheque for £100,000 to fund JDF bursaries in 2018. Attendance is by invitation, and anyone with a particular interest in diversity in journalism who would like to attend should email kimberley.holland@nctj.com.